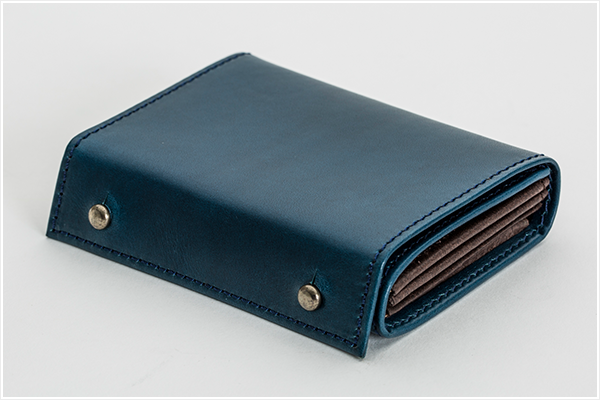 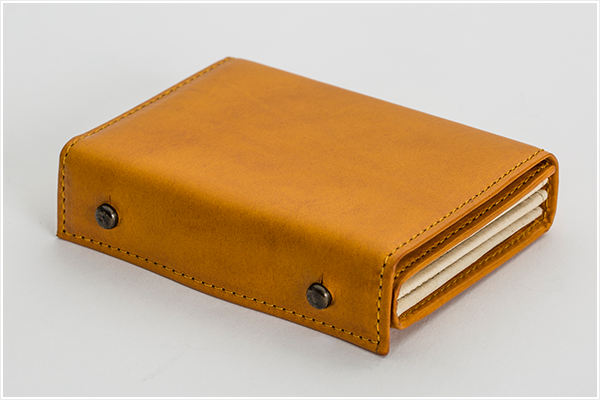 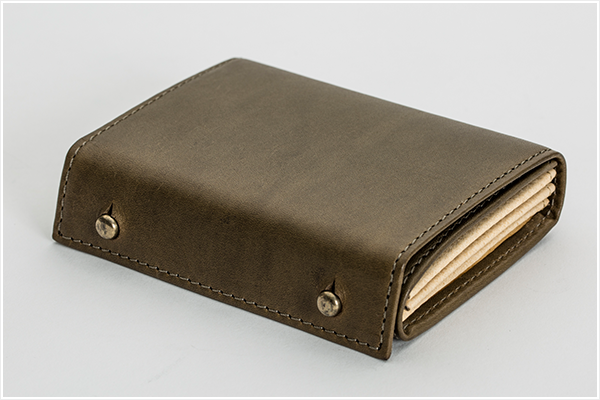 【P25 】is a one layered Italian tanned leather with color variation for the exterior and pig leather used for its original appeal. 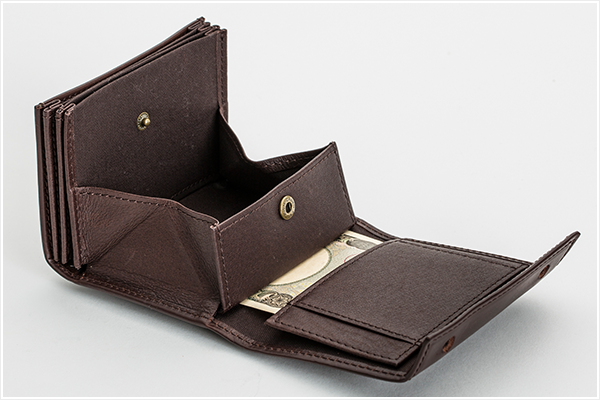 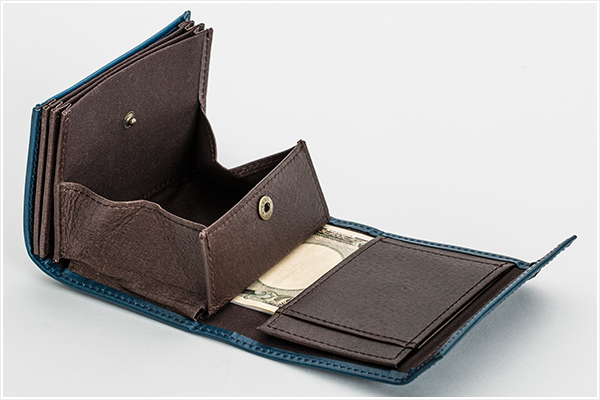 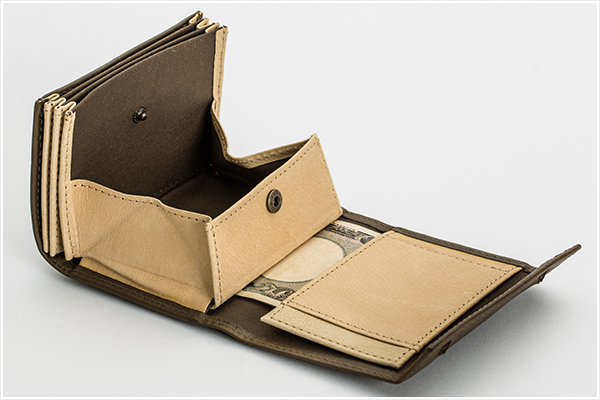 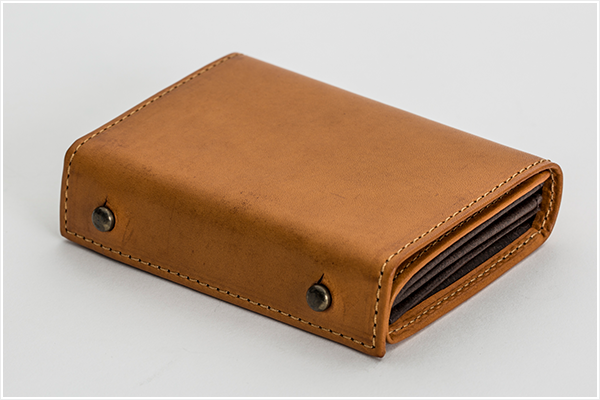 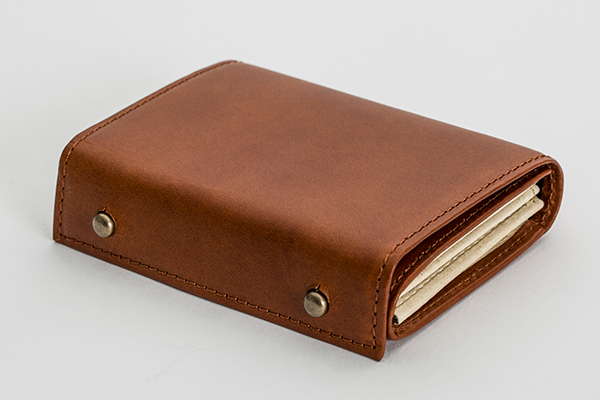 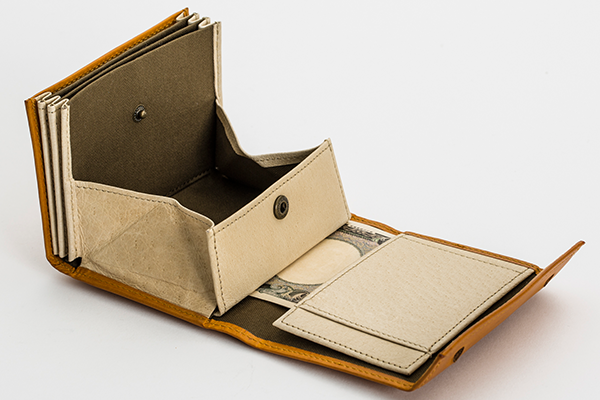 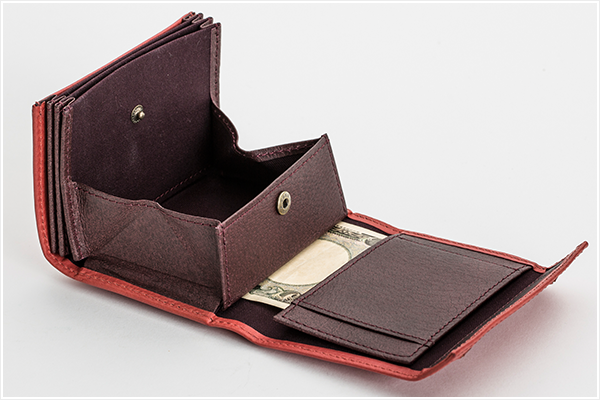 For the compartment to put in coins a dark colored cotton material is used to reduce stain marks. 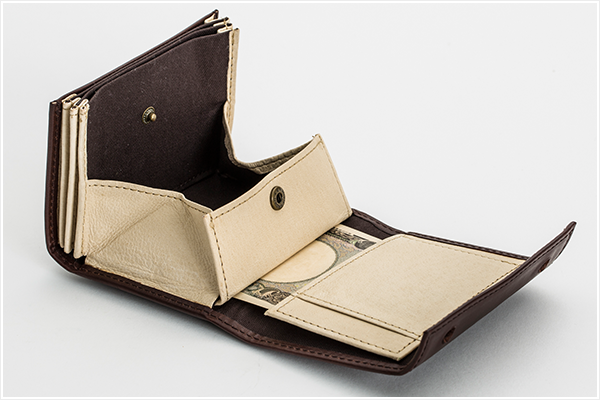 You can fit about 10 sheets of paper monies, a total of 15 coins and 15 cards. 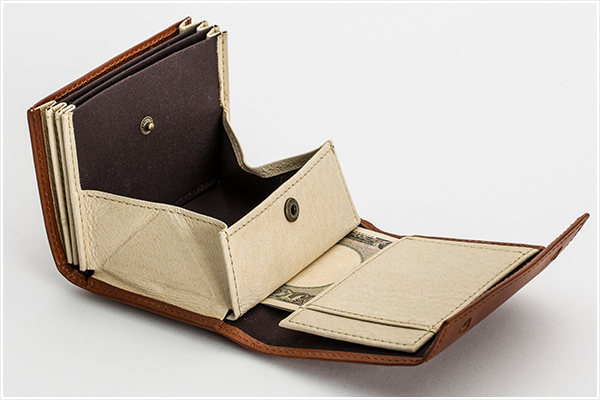 This series does not include a pocket on the paper money clip area.